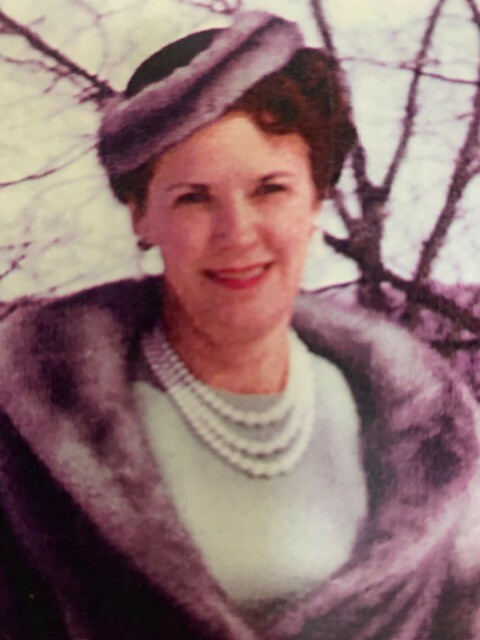 Thelda Painter Ballard passed away on January 30, 2019 at 101 years of age. Born to Glen and Pearl Painter in the town of Mammoth Utah, she was the second of nine children. She is predeceased by 3 husbands, John LaVance Evans, Robert Ballard, and Ray Osborn. A native Utahan, Thelda worked for many years at the Hotel Utah in Salt Lake City as a waitress, where she met her second husband, Robert Ballard, a mink rancher from New York state. The two married in 1959 and moved to picturesque Lake Keuka, one of the Finger Lakes in upstate New York. She and Bob lived happily there for many years and travelled extensively around the US showing his prize-winning mink. After Bob’s death, Thelda returned to Tooele and married Ray Osborn. The two of them purchased a house adjacent to a nursing home to care for her beloved mother Pearl Painter in her final years. Always a champion of the underdog and a generous mentor to those in need, Thelda will be remembered as a strong-willed, and tough, but gentle-hearted person who was always available to lend an ear or to help those in need. She is survived by her sisters Katie Sharp, Ruby Worthen and her brother Darryl Painter, her son and only child John S. Evans, her grandsons Scott, Steve, and Doug Evans and her great-grandsons Jacob Perry and Eric Evans. A memorial service will be held on Saturday, February 9th at 11:00 AM at the LDS Church located at 415 W. Apple Street Grantsville, Utah.